I wanted to take David Bowie's photo in the worst way. I had called his publicist asking for a photo pass, but I was turned down. No one knew me at the time and Bowie had a couple of photographers who did most of his coverage, but this was not going to stop me. I had a tip that he was having a late night recording session at Cherokee Recording Studios on Fairfax Blvd in Hollywood. The tip came from a very reliable source; so, I cut school, got there really early in the morning, and waited for Bowie to emerge. 6am Bowie walked out and the early morning light was magic. 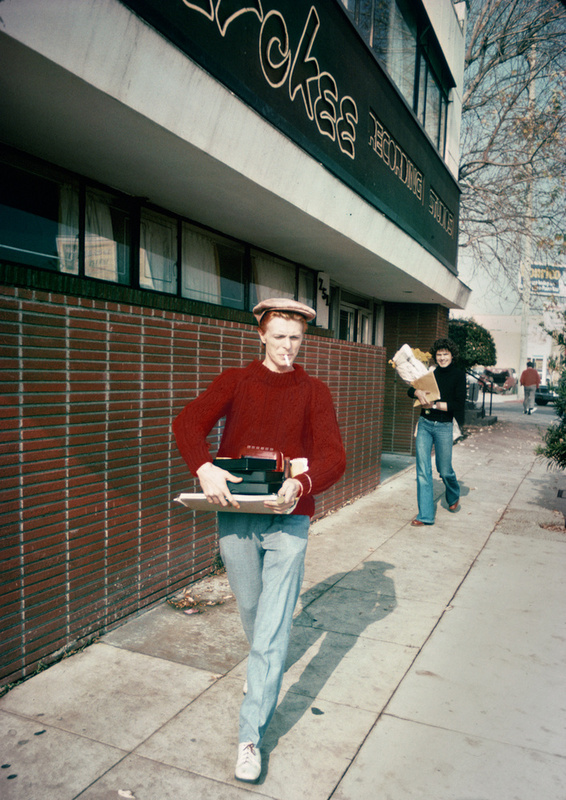 All he said to me was “Good Morning.” Since no one was really doing paparazzi-style photography back then both Bowie and his producer, Paul Buckmaster, thought my approach was incredibly hysterical. Word got out to all of the publicists in town that I was bold enough to perform this sort of ambush, but since I was a teenage kid, they all found it amusing. Creem ran the photograph as a full page in their "Stars And Their Cars" section.